Our annual ration of glorious June weekends is now half-spent. Did you make the most of yours? A number of lovely midsummer birds crossed my path this weekend, but the one that elicited the most delight was an Eastern Bluebird keeping pace with our car as we visited Hamlin Beach State Park up on the lake. 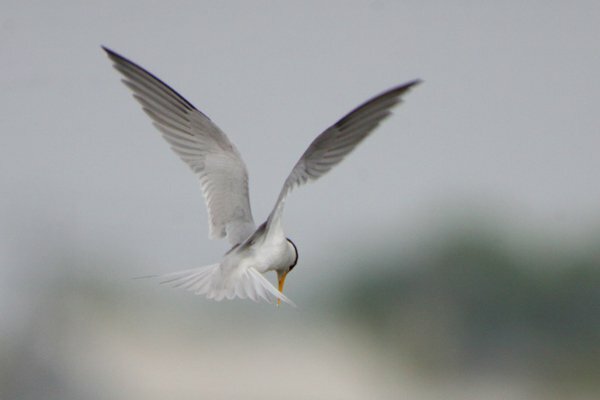 Believe it or not, Corey hardly birded at all, but a brief visit to Jamaica Bay on Sunday afternoon did result in an encounter with some Least Terns. How can anyone not like Least Terns? I don’t often have an exciting best bird, but I have to share this one — a cassowary where cassowaries haven’t been seen for a long, long time. Oddly I enjoyed my Tui the most this weekend. Not even remotely a rare bird, but sometimes that is okay. We also observed least terns at the Oceanside Nature Study ,but the bird of the weekend was a Clapper Rail that stayed out in the open on the Marsh grass for what seemed to be 15 minutes. Also a pair of Willets with four chicks on the mud flats chasing alll other birds from the surrounding area. Haven’t been able to get out much because of the steady rain, but have been watching yard birds feeding on the black oil sunflower seeds I scattered on the porch railing – had to take the birdfeeder down because of a bear. A Red-bellied Woodpecker comes regularly, squats on the railing and opens the seeds sideways lining them up in his beak until it’s full, then flies off to feed his youngsters. Early in the morning is best, before the chipmunks and squirrels wake up and spoil the fun. I don’t know about you guys, but I relish it when swallows just stay in one place long enough to confirm the ID. To have one park itself and pose for photos was a rare treat! Easy one. Willow Ptarmigan. In southern Ontario! Read all about it. It was a great twitch. My best bird was Black-headed Tody Flycatcher seen at the Nueva Luna Eco Lodge and organic farm near La Fortuna, Costa Rica but I would happily trade that and much more for a Willow Ptarmigan in southern Ontario! I posted this in the wrong thread so I’m re-posting here edited down a bit. My best bird of the weekend was a yellow crowned night heron. I was able to watch this beautiful creature swallow a large crab. The heron did this in several stages; holding the wiggling crab in it’s mouth, trying to position it correctly to swallow and then dropping it on the ground several times before finally swallowing it whole.